The Historic Downtown District-which offers many unique shops and restaurants all nestled in a six-block area in the core of Lee’s Summit. The residential area surrounding the downtown retail district features a variety of historic homes and churches built in the 1880s. 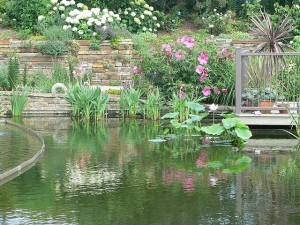 Powell Gardens-a 915-acre botanical garden located 20 miles East of Lee’s Summit on Highway 50. Set among lush rolling hills, Powell Gardens encompasses exquisite display gardens, trails, lakes, windswept meadows and more. Open year round. Paradise Park-a highly ranked attraction for the entire family featuring go-carts, miniature golf, a rock-climbing wall, bumper cars and much more. Cockrell Mercantile Company-another very popular attraction, is a charming shopping mecca for all things “kitchen”, featuring a great supply of Fiesta Ware and other unique items. Doc’s Tavern-a great little place to relax, get a bite to eat and enjoy the company of friends. Lazer Runner-a lazer tag park which is lots of fun for anyone who wants to act like a kid again. Stonehaus Farms Vineyard and Winery-which offers a peaceful and quiet atmosphere where you can enjoy award-winning wines and a panoramic view of the vineyard and berry farm. Fabulous in Mind & Body Fitness-A fitness boutique specializing in fun, feminine fitness classes, parties, and events. Summit Waves-a family outdoor aquatic center and recreation center at Harris Park that includes a 900 foot “action river,” children’s water playground, two water slides, six lane lap, bath house and concession area. 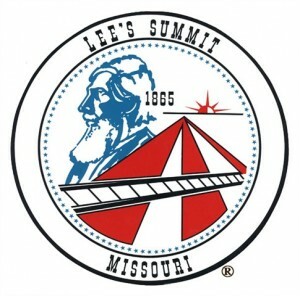 Lee’s Summit is home to more than 90,000 residents who enjoy quiet suburban living with all the amenities, and has maintained the essence of a small town.